Glo is giving out %15 Airtime bonus whenever you recharge your line starting from N100 and above via any e-Top Up channels. Virtual recharge means those recharges done via Quickteller, ATM, your bank mobile app and of course, the USSD codes otherwise referred to as VTU. The company said in a press statement in Lagos that the 15% bonus offer started on August 1 and is given to subscribers unconditionally when they recharge via any of the electronic channels such as Automated Teller Machines (ATMs), Bank USSD recharge codes, mobile banking apps, Glo’s *805# USSD recharge code, Glo Café, Online/web merchants, Point-Of-Sale terminals and direct purchase from Glo retail outlets. The offer is open to all Glo customers irrespective of your tariff plan. You will also get other benefits of your normal plan such as Free Tomorrow, G-Bam, Infinito, and Glo Bumpa, apart from the bonus airtime. Globacom stated. So there you have it, if you are still buying recharge cards at physical stores, you are just stressing yourself for no reason. When you have easy means to buy airtime within a twinkle of your eyes, the process is faster, easier and more convenient to buy right from your phone as soon as your data or airtime exhaust. 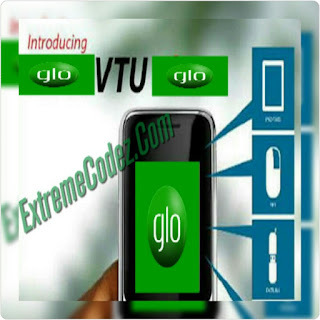 Glo is giving out %15 Airtime bonus whenever you recharge your line starting from N100 and above via any e-Top Up channels. Virtual recharge means those recharges done via Quickteller, ATM, your bank mobile app and of course, the USSD codes otherwise referred to as VTU.